I want to add lyrics to an existing MIDI file, how can I do this? How is it possible to synchronize lyrics to a midi file? 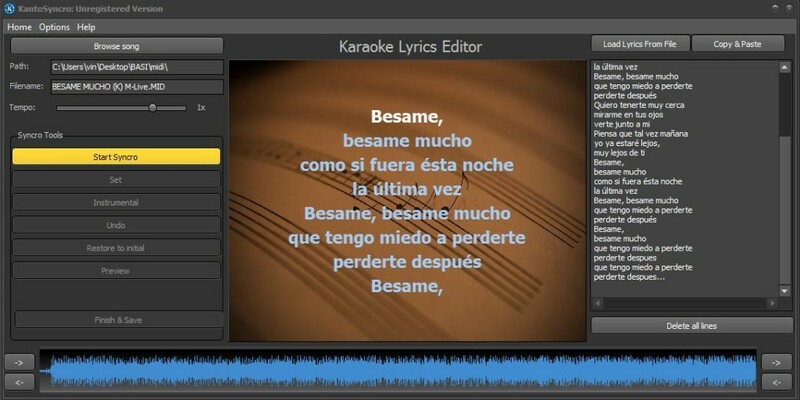 Is there a software able to add lyrics to a midi file to create a karaoke file? The best answer to all these questions is KANTO SYNCRO. 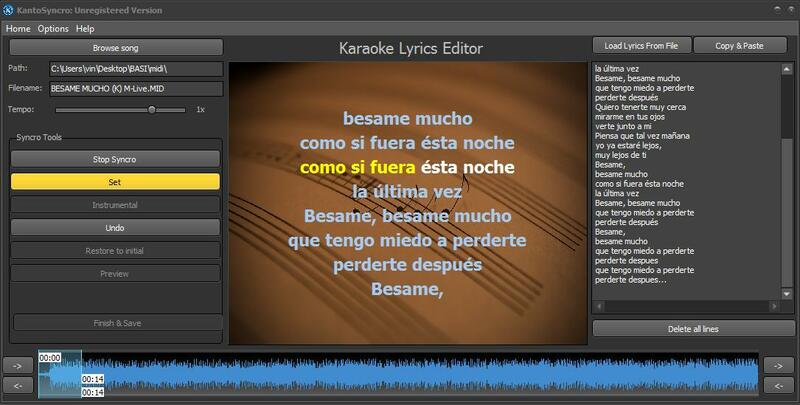 Thanks to this app yu’ll be able to add lyrics to midi and create professional midi-karaoke files. If you have downloaded free midi songs from Midiworld.com, now you can add lyrics to the midi files and create beautiful karaoke songs (with text) in MP3 format or video format (AVI or MP4). Click FREE TRIAL button to try-before-purchase this software. 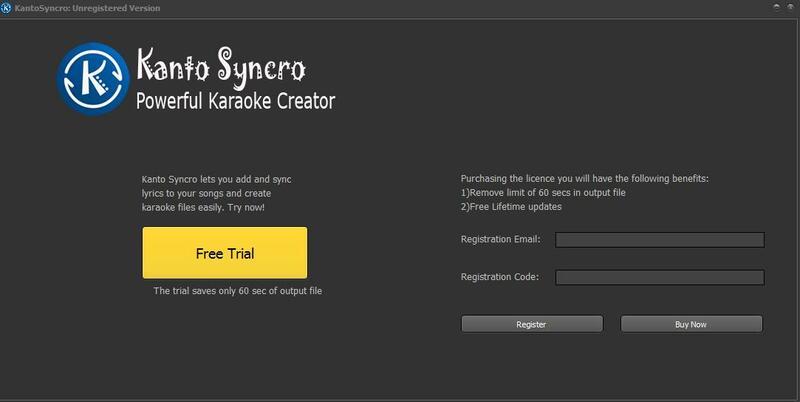 The free trial version of Kanto Syncro will allow you to create 60-sec karaoke songs. 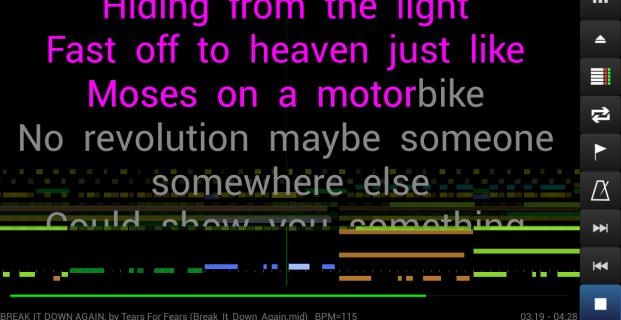 From the left of the main screen click on “Load from Text File” or “Copy & Paste” to add the lyrics in the app. Click START SYNCRO button to play the MIDI song. Now be careful: click on SET button to synchronize and add lyrics to the Midi file. When the song finish, click STOP SYNCRO and then click on PREVIEW button to see the result before saving the midi-karaoke file on your PC. After synchronization click on FINISH & SAVE button. 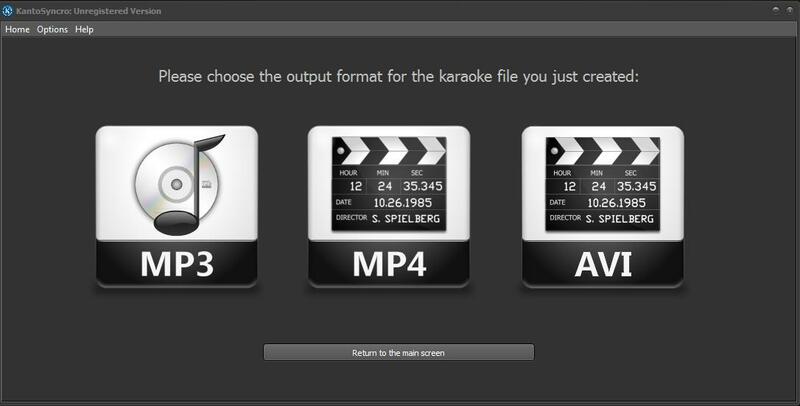 All these karaoke songs could be playable with Kanto Karaoke Player software, one of the best karaoke software available on the web. 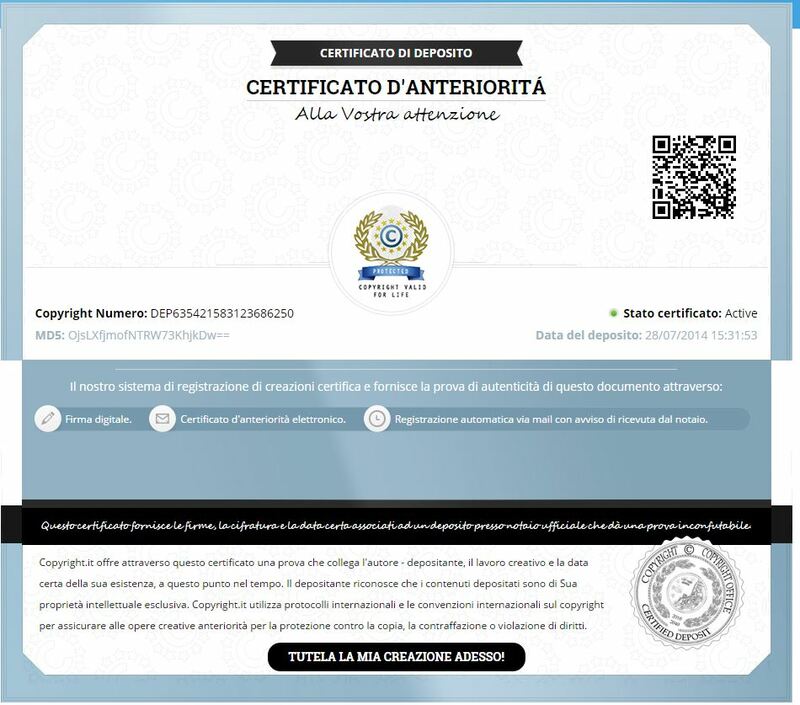 NB: With the free trial (“unregistered” version) you can save only the first 60 seconds of the synchronized song. To remove this limit you need to purchase the program. This program will not even save as a KAR file? I need to add lyrics to my Midi backing tracks. It saves in mp3 file.